Please click here to to sign the Petition to Support DNA Testing for Jamie Snow! 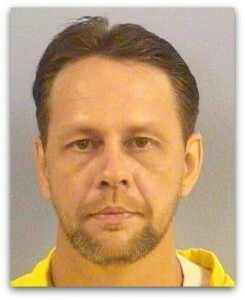 In 2001, Jamie Snow was wrongfully convicted for the 1991 murder of a gas station attendant during an apparent robbery at the Clark Super 100 Station located at 802 E. Empire St. in Bloomington, Illinois. Jamie has always maintained his innocence, and continues to do so. This violent and senseless crime occurred in Bloomington, Illinois on Easter Sunday 1991. The murderer walked away with a total of $30, as Jamie Snow ate dinner with his children. The tragedy was compounded when, after several years without a clear suspect, Jamie Snow was arrested and improperly charged by police and prosecutors willing to convict him by any means necessary, even after passing a polygraph exam. Jamie Snow’s CODEFENDANT was found NOT GUILTY in a previous trial based on the same evidence. She testified FOR Jamie in his own trial. Jamie Snow PASSED a POLYGRAPH exam in 1994. The state sent the polygraphs of two jailhouse informants that testified against Jamie at trial, but they omitted the results. Results sent from the state for Informant 1 and Informant 2. There is NO PHYSICAL EVIDENCE linking Jamie Snow to this tragic crime, however there IS PHYSICAL EVIDENCE in the form of blood, bullets and fingerprints – all motions for testing with current technology have been thus far DENIED. The prosecution’s “star witness” Danny Martinez FAILED to identify Jamie during an in-person line up shortly after the crime, and numerous photo books over the years in which his picture was included. In fact, the DAY AFTER THE CRIME, he identified these two suspects stating, “It’s between these two.” He did NOT identify Jamie until nearly 10 YEARS LATER in a private meeting at the state’s attorney’s office. The ID Witness Issue is covered here. This LIFE SENTENCE was also based on unreliable witness testimony from “jailhouse informants” receiving deals for lighter sentences. Even the first police officer on the scene has submitted a sworn affidavit DISPUTING the “star witness testimony. The public defender assigned by the State to Jamie’s case has since been DISBARRED. The Honorable Judge Knecht addresses the issue here.